Slim, All-Metal, Black Body with an Amazing Point of View. 3x Optical Zoom-NIKKOR Glass Lens - pro-quality optics provide exceptional images. 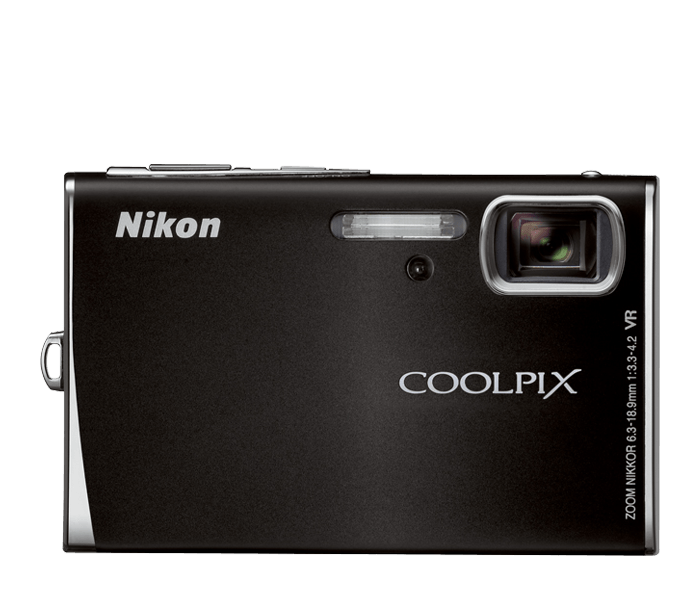 Huge, Bright 3.0-inch High Resolution LCD offers 160-degree wide-angle of view, making it easy to share your pictures. Auto Adjusts up to ISO 1600 lets you keep shooting, even in low light. One-Touch Portrait Button automatically activates In-Camera Red-Eye Fix and Face-Priority AF to create stunning portraits. All New Pictmotion allows you to create in-camera slide shows with your music.